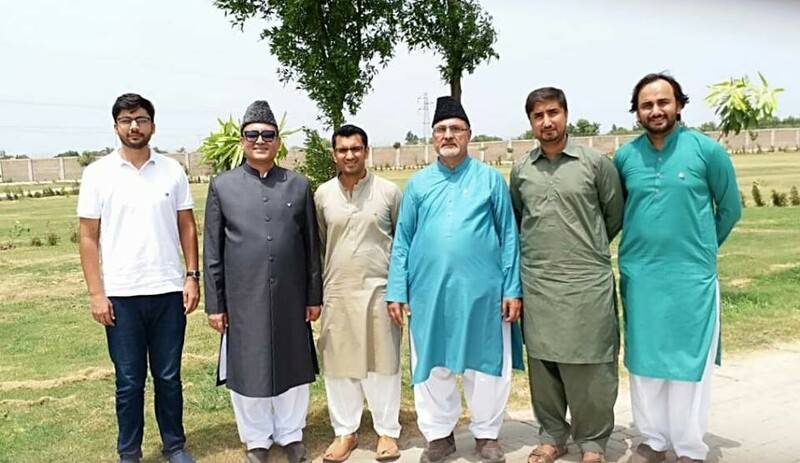 CFD Campus has celebrated the 72nd Independence Day with traditional zeal and fervor, with commemorative ceremony held at CFD campus. 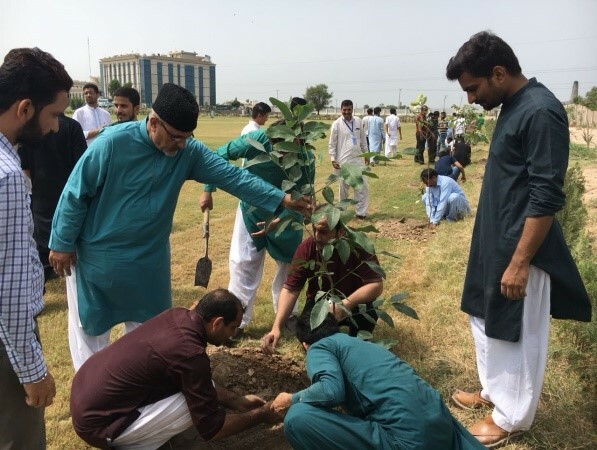 This year CFD campus celebrated Independence Day with the motive to make Pakistan green and Pollution free by planting trees in and vicinity of the campus. The faculty, staff and students gathered in front lawn. 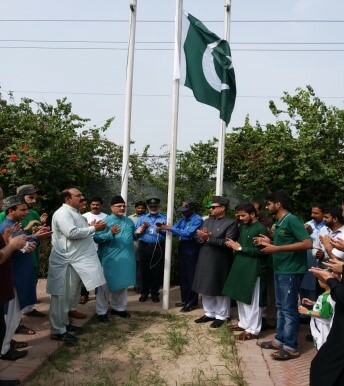 The national flag was hoisted by Dr Aftab Ahmad Maroof, Director of campus. 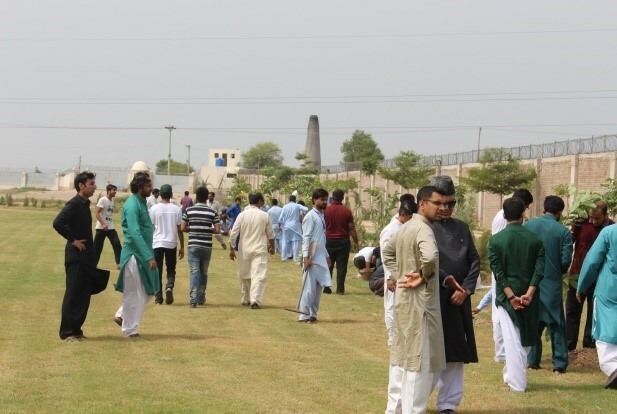 After flag hoisting ceremony, National anthem was sung by the participants with great devotion. A famous national song, “Sohni Dharti” filled everyone with pure nationalism. 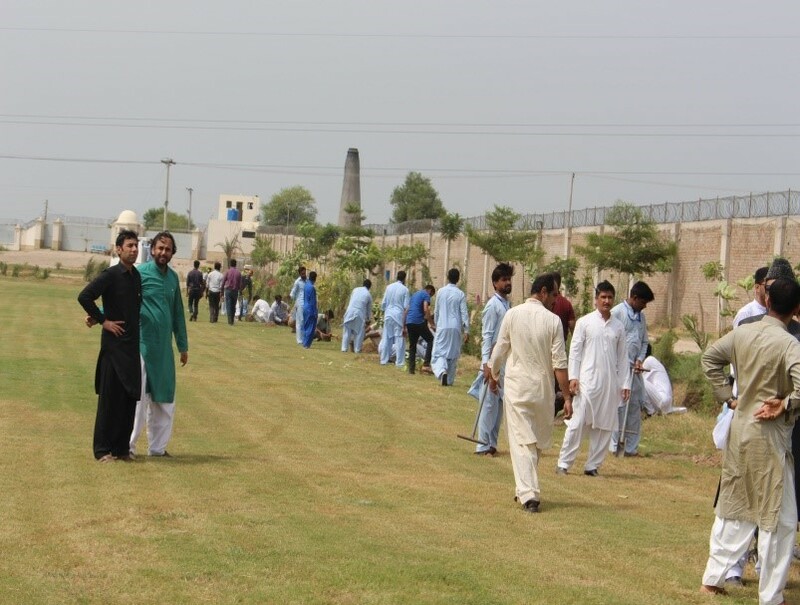 At the end a photo session with director, faculty, staff, and students was held. 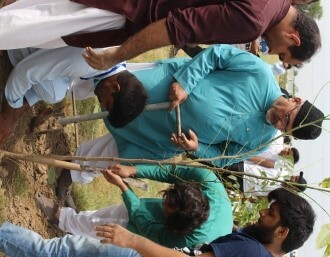 The Celebrations came to an end with Tree Plantation drive. 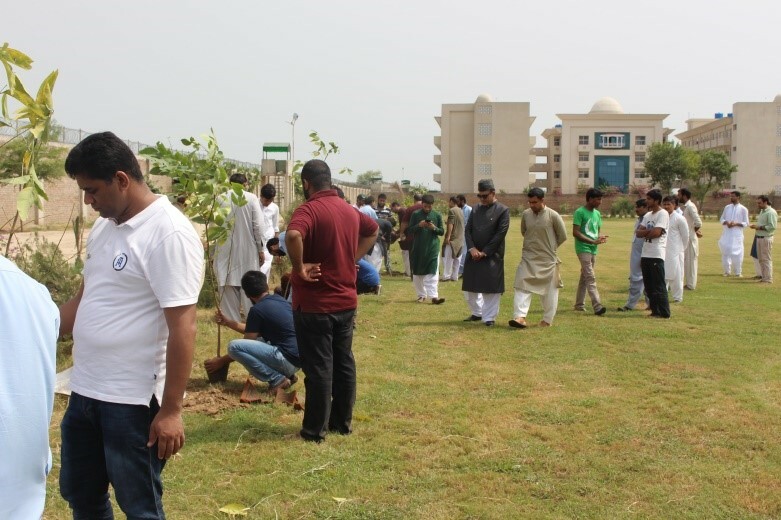 The participants actively participated in the program and went for sapling in various premises of the campus. 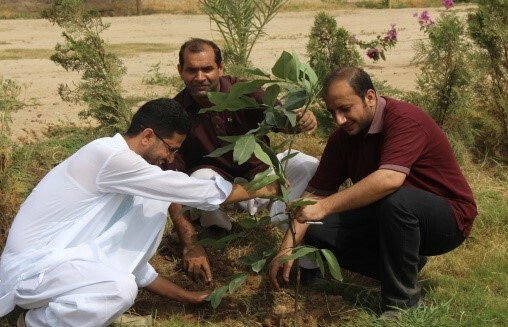 The participants have planted around one thousand saplings during the campaign. 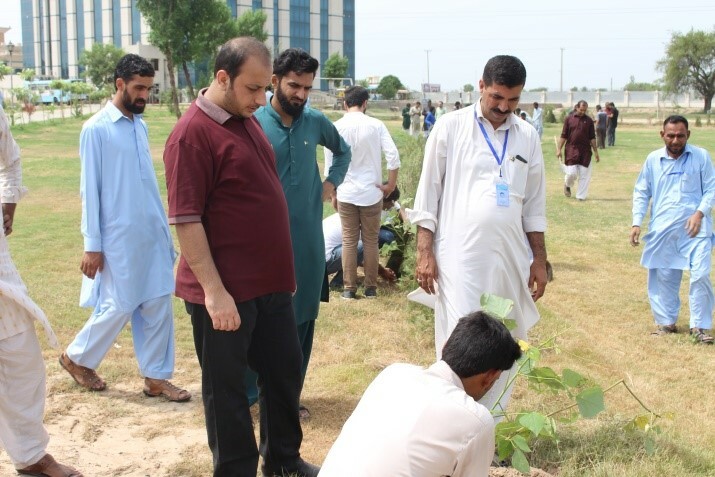 In pursuance of the vision of worthy Director, Dr Aftab Maroof, to make our surrounding green and pollution free, the students of CFD campus will plant more saplings in upcoming days, not only in campus premises but also in the surrounding areas of Jhang Branch Canal. Copyright © 2019 , NUCES. All Rights Reserved.